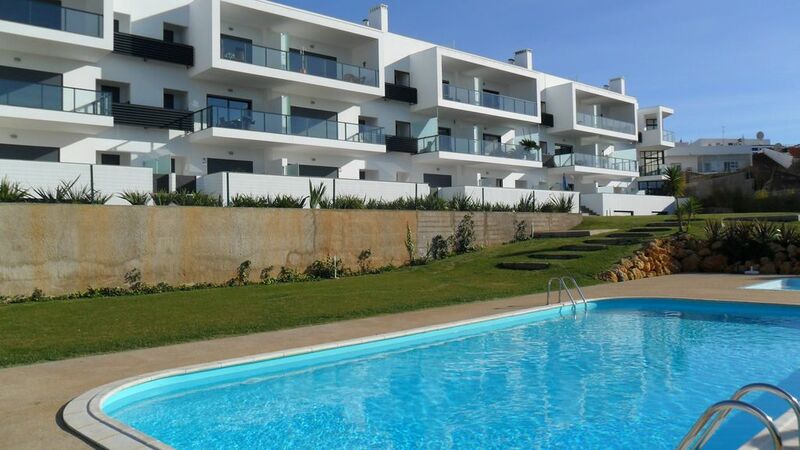 Idéalement situé à seulement 2 minutes de marche dans le centre de Alvor avec ses nombreux bars de qualité, restaurants et magasins, et à 10 minutes à pied de la plage de sable glorieuse, ce magnifique, contemporain, 1er étage, 1 chambre appartement. Composé de spacieuse cuisine ouverte, salon / salle à manger, impeccablement meublé et équipé avec canapé en forme de L qui se transforme en un lit double, salle à manger pour 4 personnes, TV par satellite avec toutes les principales chaînes anglaises, lecteur dvd / cd, quai i-pod et connexion Wi-Fi gratuite. La cuisine est équipée avec tout nouveau, les appareils modernes de haute qualité, lave-vaisselle, lave-linge, four, plaques de cuisson micro-ondes et réfrigérateur-congélateur. Il ya climatisation et le chauffage dans le salon et la chambre à coucher. Salle de bains avec douche / baignoire. Le salon se ouvre sur un balcon donnant sur la piscine avec vue imprenable sur l'estuaire de Alvor. Le complexe moderne se compose de 30 appartements avec jardins immaculés, piscine et pataugeoire pour enfants. Il ya un système d'entrée vidéo et un parking souterrain privé. Transferts de l'aéroport peuvent être organisées si nécessaire. La marque nouvelle Pingo Doce supermarché est à seulement 2 minutes à pied. It was everything we expected. Nice apartment equipped with everything we needed. Two lovely balconies with a choice of sunshine or shade and a wonderful view from the back. Helen and Neil were there on time to meet us when we arrived and left a few essentials in the fridge to start our holiday which we appreciated. Overall this was a very nice apartment in a wonderful location. We would have no hesitation recommending this apartment as a perfect location for a visit to Alvor. We are glad that you enjoyed your stay and hope to see you again in the future. Thank you for leaving the apartment so nice and tidy. It’s always much appreciated. We are just back from a 10 night stay in this beautiful apartment. We were met by Helen and shown around. This apartment is beautiful, modern, bright and spacious, with everything you could need. There was also a welcome pack which was greatly appreciated. 2 balconies which capture both morning sun and the evening sun set is amazing. An extra bonus is the english channels and sky sport. The location of the apartment is so convienent. A few minutes stroll into the village. If you have a car which e did( you don't need a car) the under ground garage is so convienent and easilly accessible. Would love to return again but these apartments are in high demand. We would love to welcome you back anytime. We have just returned from solrio for 10 nights ,it was best holiday we have had as a family ,great location and apartment was like a home from home ,everything you could possibly need for your stay from all mod cons ,including flat screen tv with all sports channels to all the floaters and buckets and spades for kids,best sleep ever with black out shutters,from start to finish holiday was great , relaxing lazy mornings with no worries about sunbeds and all shops and restaurants a 5 minute stroll away ,perfect getaway that suits all,and neil and Helen perfect hosts on hand to help you with anything you need including transfers if needed . It was a pleasure having you and thank you for leaving the apartment so nice and tidy. Amazing apartment perfect location . So glad you enjoyed Solrio. We were confident that you would.